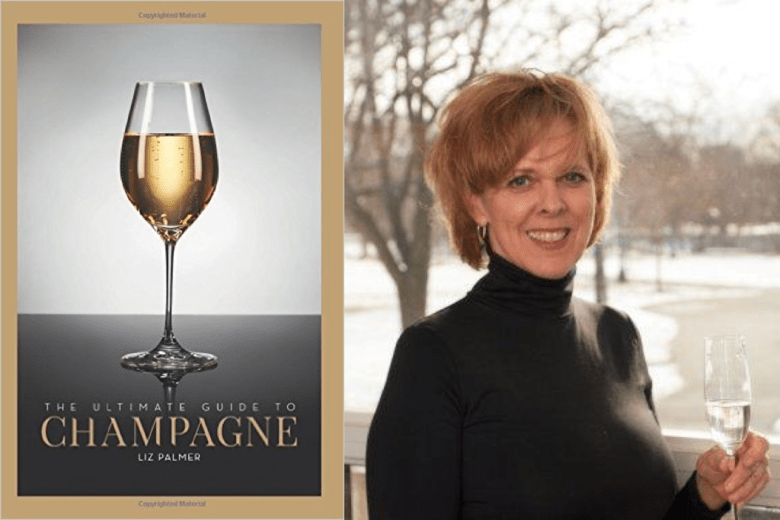 Following Liz Palmer of Boutique Champagne Houses is new for me. When I put a request out to interview, authors, writers, bloggers, publishers, and especially those who enjoyed food, wine and travel, Liz responded. I’m delighted she did as she covers one of my favorite sips, champagne. Please introduce yourself: provide some background, i.e. where are you from, how did you start writing, is there anything specifically interesting about you? If you had another career first, how/why did you switch to writing? My initial career was a Law Clerk, and during the past three years (because of my love of wine and writing) I slowly fazed into my second career as a Travel and Wine Writer. I am currently an Apprentissage Sommelier, Chairman of PCYC Wine Committee, a wine consultant, educator, trainer and writer. I currently write monthly wine columns on news and trends for Credit Notes, Rob Roland & Associates, “Rob Report”, GAM on Yachting, wineandleisure.com, and monthly wine articles for HEART Business Journal for Women®, Toronto Waterfront Magazine and is International Correspondent for China Wine News. I taste thousands of wines annually at various events around the world. I am a member of The Society of Wine Educators, Writers Net, Wine Writers Network, Immedia, TravelWriters.Com, International Sommelier Guild member, a member of Women in International Trade, a member of French Wine Society and most recently became a member of the American Media Photographers, Inc.
What is the focus of your writing? Travel and Wine. I am currently working on an ebook, Champagne App and a series of books on boutique Champagne houses. I started the sommelier course three years ago and I tested the water by writing newsletters. Did you have something specific that inspired you to write in this genre? Re: Champagne – my first assignment trip to Aube two years ago and discovering the history and feeling the passion of the growers, owners and workers. Do you also blog or have a website? Yes, my blog is Champagne and Travels from Liz Palmer and my web site is BoutiqueChampagneHouses.com. Do you query for assignments before you write or after the article is done? Can you comfortably recommend any publications looking for freelancers? Yes. My suggestions would be any “Snap” newspaper in Ontario, GAM on Yachting, and Heart Business Journal for Women. Are you a freelancer or on staff? What is your approach to research? Read and gather as much as I can, then dig in and write (with no interference). Have you learned any inside tips along the way you could recommend to writers starting out? To be active on social media sites and get your name/brand out there. What are your favorite type of books and authors? What intrigues you about them? Unique wine and travel books. For all of you champagne lovers out there, Liz seems to be the one to follow. I’d encourage you to keep up with her activities. I also found her website quite informative. It covers so much about champagne and wine worldwide with great photography. If any of you authors, writers, publishers, bloggers on food, wine or travel would like to be interviewed, send me an e-mail at MDHill@NoraLyn.com. I would like to thank you for your efforts you have made in creating this blog post. I am hoping the same best content from you in the future as well. In fact your great writing abilities has inspired me to start my own personal blog. Really blogging is spreading its wings fast. Your blog post is a fine example of it. interesting post, pretty much covered it all for me, bookmarked. We’re thinking of starting a blog for our business. I really love the colors and use of space on the template. I’m a recent grad just trying to learn more about the advertising space and I really enjoyed reading your post. Keep up the great job! Thanks Chastity, I’m glad you enjoyed the post. I really love wine. I remember the first time I tried some when I was just 11 years old. My mom let me taste a bit of her red on Thankgiving. Right then and there I became a wine drinker. lol I would guess that I have tried quite a few hundred different wines over the years. It’s kind of fun tasting a new one and learning about how and where it was grown. I’ve been thinking about trying a wine club lately and I’ve been thinking about this 4 Seasons club. I read a review about it on this site. Have you had any experience with it, or would you recommend any other wine tasting club? There are so many great wine clubs, I would be unable to recommend one in particular. I would suggest trying one for a while and then in six months, try another. Keep doing that until you find the one you like the best. You palate changes as it develops more and more. Naturally, you have fun along the way. Great site Thanks for posting. That’s right! Fantastic piece, keep up the tremendous job. This is the type of info that really should obtain acknowledgement for it’s workmanship. Far more authors ought to learn from you. This is actually precisely on the money. Thanks for commenting. I’m happy to do the interviews as I also learn. I like this site. Really practical and very motivational. Thanks a bunch. This will help me a lot. I really like your layout, the actual fact that your site is a tad bit distinctive helps make it so interesting, I get completely fed up of viewing same-old-same-old just about all almost daily. I have I simply just happened on this site by you Many thanks. Thanks for commenting. Happy you like the site. Useful info provided I am quite happy to read this particular write-up..many thanks for giving us wonderful information.Great walk-through. I enjoy this kind of article. Thanks for commenting. Happy you enjoyed Liz’s interview. Very good info, many thanks to the article author. This is puzzling to me now, but all around, the efficacy and relevance is overpowering. Really much thanks once again and all the best .! I happy all of you have enjoyed this post. Yes! Great piece, keep up the amazing work. This is the type of information that really should get recognition pertaining to it’s art. More writers ought to learn from you. This is actually precisely on the money. Helpful tips discussed I’m really pleased to see this article..thanks for giving us nice tips.Fantastic walk-through. I enjoy this write-up. That is very sublime stuff. Never new that beliefs could be this varied. Thanks for all the enthusiasm to extend such helpful information at this site. the useful info u provided do help our team’s research for our group, thanks. “Freshly” launched our new website – still a work in progress. I welcome any comments and/or suggestions! I also just finished publishing an article entitled “A Girls Guide to Champagne” Hope you enjoy it! Thanks for bring us up to date. I sure “A Girls Guide to Champagne,” will be great. Be sure to check out Liz’s blog at http://www.Boutiquechampagehouses.com. Why does this have to be the ONLY relbaile source? Oh well, gj!